Best Western Florence offers hotel packages bundled with tickets to area attractions like Cincinnati Reds, Newport Aquarium, Cincinnati Zoo & Botanical Garden and more. Click the View Hotel Packages button to see what's currently available. 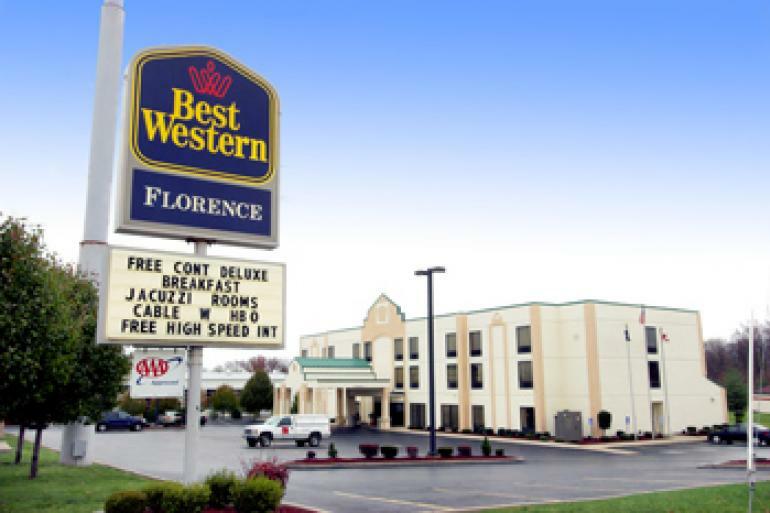 Best Western Florence is conveniently located minutes away from the Greater Cincinnati Northern Kentucky Int'l Airport as well as other major attractions. Newport Aquarium, Perfect North Slopes, Cincinnati Zoo, Downtown Cincinnati, Creation Museum, Paul Brown Stadium and Great American Ball Park are less than 15 minutes away.Best Western Florence offers amenities perfect for the business and/or leisure travels. Located minutes away from the airport!